The awareness day, which takes place on Wednesday, July 31st, is part of the Safe Kids Worldwide “Never Leave Your Child in a Car” campaign created to spread information on the perils of leaving children unattended in vehicles on hot days. In keeping with its high regard for driver and passenger safety both on and off the road, GM has donated $200,000 to the Safe Kids Worldwide Foundation to support the campaign. According to the national Highway Traffic Safety Administration, an average of 37 children dies each year from heatstroke. “Even one death is too many, so we are grateful to have support from the GM Foundation to raise awareness about heatstroke prevention,” said Kate Carr, CEO of the Safe Kids Worldwide Foundation. For more information on summer safety and heatstroke prevention, visit the Safe Kids Worldwide Foundation online. Bradshaw Chevrolet Buick GMC Cadillac fully support’s GM’s efforts to protect children from heatstroke, and encourages everyone to be wary of children left in cars on hot days. To stay up-to-date on other General Motors charity and safety news, plus dealership updates from Bradshaw Automotive, follow us on Google+! You can also visit our website to view our great selection of GM cars in Upstate South Carolina! 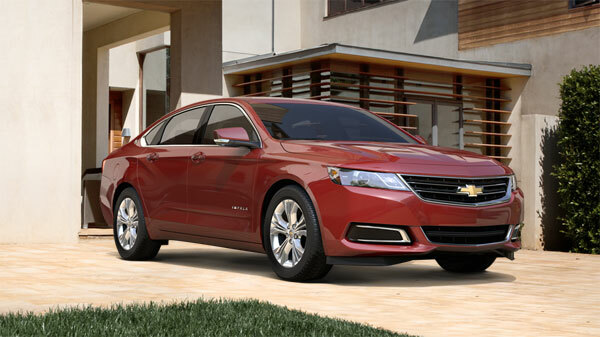 The 2014 Chevrolet Impala was recently rated by Consumer Reports as the best-scoring sedan available for 2014, making it the first domestic car to ever top this rating. Earning a 95-point score in the Consumer Report, the Impala beat out every sedan tested this year and scored higher than every 2014 car but the Tesla Model S and the BMW 1 Series. The Impala’s top rating was based on a variety of factors, including its spacious cabin, which is outfitted with top-level materials and much trunk and back seat space; its impressive handing, complete with light steering and great braking; and its 22 miles per gallon fuel economy. The new Impala comes with a choice between a 3.6-liter V6 engine, a 2.5-liter 4-cylinder engine and a 2.4-liter engine with eAssist. Bradshaw Chevrolet Buick GMC Cadillac of Greer, SC is excited to announce the new Impala’s top rating, and invites you to come test drive a new Impala today! For more information on the all-new 2014 Impala, contact Bradshaw at (866) 419-9345 or visit our dealership online. We also maintain an excellent selection of used cars in a variety of makes at affordable prices. For more Chevrolet news and GM updates, follow our dealership on Google+! 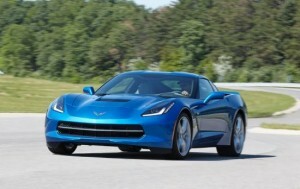 The 2014 Chevrolet Corvette Stingray will offer drivers an EPA-estimated 17 city and 29 highway miles per gallon and 455 horsepower when equipped with an available 7-speed manual transmission. 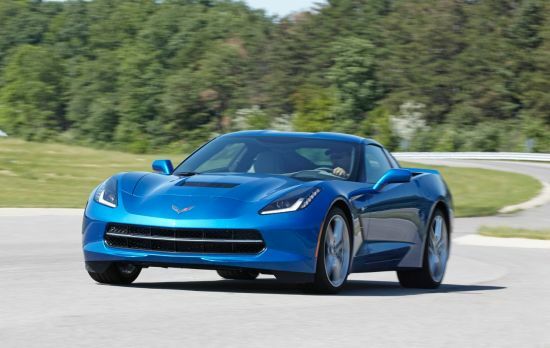 This rating makes the Stingray the most efficient sports car on the market for 2014. With its 6.2-liter LT1 V8 engine and a host of fuel-saving features like “Eco” mode, the all new Corvette Stingray boasts an 11 percent increase in highway fuel economy and a 6 percent increase in horsepower over the 2013 Corvette. The new Stingray is unique in providing both great fuel economy and top horsepower: cars with high power tend to guzzle gas, and those with great gas mileage usually don’t deliver great power. The new Stingray also maintains the classic Corvette design and style that has made it a top-performing sports car for over 60 years. The car’s innovative technology is likely to inspire more cars in the sports car segment to improve their fuel economies. The new Stingray also maintains the classic Corvette design and style that has made it a top-performing sports car for over 60 years. Bradshaw Chevrolet Buck GMC Cadillac, located in Upstate SC, looks forward to the release of the all new 2014 Chevrolet Corvette Stingray later this fall. To learn more about currently available 2014 Chevrolet cars like the all-new Impala, Silverado and Traverse, contact Bradshaw at (864) 416-7397! You can also visit our dealership online to view our great selection of used cars in a variety of makes and models. For more OEM news and dealership updates, be sure to follow us on Google+! 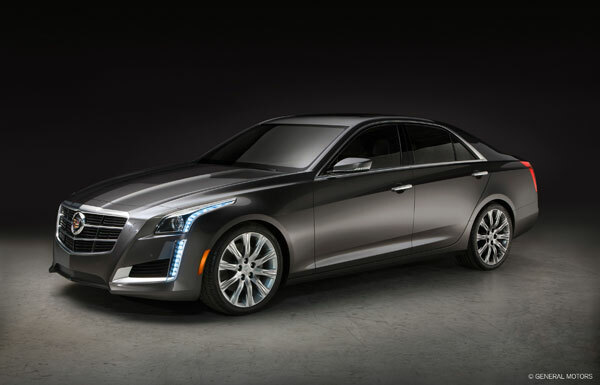 If you liked the 2013 Cadillac XTS and CTS but wanted a little extra oomph under the hood, you’ll love the 2014 models. Cadillac is planning to introduce the Vsport model this year and the 2014 XTS will be the first model to offer it, followed closely by the CTS. With all of these enhancements, the 2014 XTS Vsport has been verified to get 410 horsepower and 369 lb-ft of torque! The CTS will show up shortly after the XTS with a similar Vsport model. Both models will see a considerable price increase. For more details stop into Bradshaw Buick Chevrolet GMC Cadillac or contact us at (864) 416-7397! We currently offer a great selection of new Chevrolet, Buick, GMC and Cadillac cars, including the all-new 2014 Cadillac ATS and CTS Coupe. For more information, as well as GM car updates and news, be sure to follow our dealership on Facebook and Twitter!